The data onto rest needs to be converted into data onto use by providing an accessible front end of the digital environment; this is where the e- catalogs to come into picture to scale the data. With growing use of web to make more informed decisions, it is becoming imperative for the automotive parts suppliers, retailers and manufacturers to mark their presence in the content driven environment. The aftermarket industry is more complex than selling a new vehicle because of high degree of uncertainty of an event to occur. Further the spread of significance of the variance makes it difficult to generate economies of scale & agglomerated effects. The forecast function is on a complex probability-distribution-curve which is difficult to plot and further makes it difficult to project the uncertain demand, thus less accurate to detect & serve the demand. The digitally available information is usually available in raw format like xml which is difficult to comprehend by a common user; thus the data needs to be processed and presented in a way so that the user can interact with it to extract meaningful use. 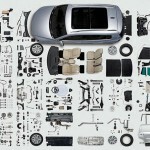 Auto parts e -catalog provide solutions to B2B and B2C market cardinalities. An auto parts catalog service is ideal for the developers to adapt to for a greater or increased communication with the market. 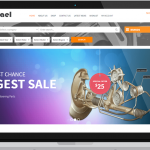 E commerce solutions to form into static and dynamic catalog service for auto replacement & performance parts; would enable and provide for presales activities. The data onto the automotive aftermarket parts and spares is represented by billions of data thus making it a domain for big data analytics. It becomes nearly impossible to manually query the big data and this leads to development of automated software services to improve the accuracy and reduce the time to market thus making it effective and efficient. The aftermarket parts are available for different brands of light, medium and heavy duty trucks, light vehicles, jeeps and even motorcycle, which is further categorized for year, make and model on interaction with the parts catalog. These various targets of automotive utility then could be segmented for normalized components like replacement parts (tyres, batteries, brake pads, lubricants, electrical parts, replacement parts and accessories), sales outlets (in store & virtual ecommerce) and regions. This segmentation leads to segmented consolidation of data so that it could be filtered and analyzed better for actionable insights. Manufacturer’s like Chevy and Tesla are coming up with all electric utilities and hybrid cars; this leads to development of new aftermarket for spare, replacement and performance parts. Given the higher degree of technological adoption rate of the North American market; the aftermarket would eventually cater to the new demand of the technology. The conversion to data onto aftermarket parts catalog formats would increase the data exposure to the market thus greater chance of intercepting a demand. With increase in average life of the vehicle and increase in wear & tear and increase from vehicle miles driven; the automotive aftermarket projects a greater penetration of goods & services and thus resulting in high recession proof demands and market growth. A report indicates that the global automotive aftermarket industry is projected to hit $680 Billion by 2024.